The AC adapter, AC/DC adapter or AC/DC converter is a type of external power supply, often enclosed in a case similar to an AC plug. 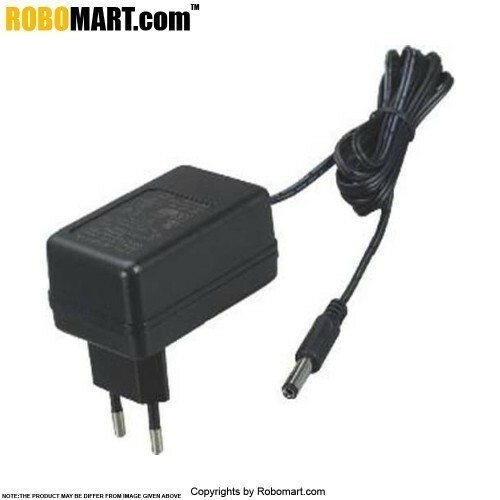 Other names include plug pack, plug-in adapter, adapter block, domestic mains adapter, line power adapter, wall wart, or power adapter; adapters for battery-powered equipment may be described as chargers. Any electronic device requiring 9v and 500amp. Current. Also Searched as : buy online adaptor, smps adaptor india,buy 500a adaptor, 9v adaptor online, buy 9v smps adaptor.